Centurion is a picturesque garden city found in the Gauteng province of South Africa. 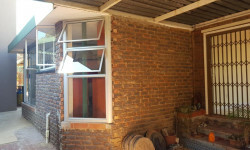 Situated on the Highveld, the area has a similar climate to Joburg and its surrounding suburbs. 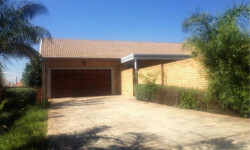 Centurion is a popular residential area as it is ideally located alongside Midrand, between Pretoria and Johannesburg. Formerly an independent Municipality, Centurion is now part of the City of Tshwane Metropolitan Municipality, which also includes Pretoria. Centurion provides the best of both worlds by combining the amenities of the city with the pleasure of country life. The area has grown since 1994, due to the relocation of many businesses, resulting in the city limits expanding to the cities of PTA and JHB. Because of its location, Centurion is an ideal residential area for business-oriented people and their families. The central business district of Centurion, which holds plenty of well-established companies, is built around a man-made lake where one can find open-air restaurants alongside office blocks. The daily commute has become significantly easier for residents due to the easily accessible, major roadways linking through to Johannesburg, Midrand, Krugersdorp, Pretoria and O.R. Tambo International Airport. The Gautrain railway line also runs through the heart of Centurion, and offers a convenient travel alternative to its residents. Interested home Buyers can find property for sale in Doringkloof, Eldoraigne, Lyttelton, Rooihuiskraal, Sunderland Ridge, Wierdapark and Zwartkop, with Centurion offering its residents the choice of many private housing estates and gated communities. For entertainment, residents can visit the large Centurion Mall, or the tranquil Rietvlei Nature Reserve, which is one of the world’s largest urban nature reserves. Additionally, there are various entertainment spots, including sports facilities, a driving range and golf course as well as the Supersport Park cricket grounds. Shop 40A, Blue Valley Mall, Bothrill Street, The Reeds, Centurion, Gauteng, 0158.